Shelagh: Please tell us a little about yourself, Frank. Frank: I live in Paradise Valley, AZ., with my son and wife of 30 years. I have a B.A. in Liberal Arts and General Systems Theory from Stockton State College and a Master Degree in Education at the University of Phoenix. 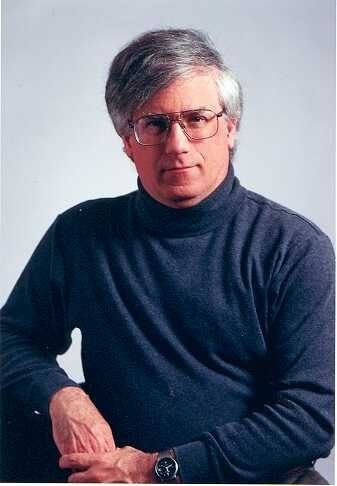 During my college years, I started, wrote and edited the New Times newspaper which is now a multi-state operation. I’ve also written a book titled To Christopher that, under the guise of a book to my young son, leads the reader through social commentary, personal experience and entertaining teaching stories on a thoughtful journey through the challenges and opportunities that face the next generation. Frank: To tell youth truth, way back in High School. I wrote the first few chapters of my first novel. I completed a novel many years later in college but never pursued publishing it. Over the last 10 years I wrote a dozen or so non-fiction books but my love was always to be a novelist. Frank: I think almost every novelist has a back-story to tell. What motivates them to write a book or perhaps a moral or lesson to get across to the reader. My message in CyberKill is one of ‘unintended consequences’. Frank: CyberKill is my first book of fiction. A brilliant programmer, Travis Cole, inadvertently creates “Dorian,” an artificial intelligence that lives on the Internet. After Cole attempts to terminate his creation, Dorian stalks his young daughter through cyberspace in an attempt to reach Cole to seek revenge. When cyber-terrorism events threaten the United States, they turn out to stem from the forsaken and bitter Dorian. The geographic locations, government and military installations and organizations, information warfare scenarios, artificial intelligence, robots, and the information and communications technology in this book all exist. As for SIRUS, pieces of the technology are either in existence or in the research and development stage. According to the Department of Defense, it doesn’t exist. The Fars News Agency of Iran reported otherwise. Frank: I do a detailed outline of the book before I write it. Characters are developed to drive the plot. So plot comes first then I create characters and motivate them to drive the plot. Frank: I like Dallas. He’s a techno-nerd – a thorn in the side of the establishment. Like me. Frank: I write in thrid person. Frank: Well, my background is in the computer industry so CyberKill was easy to write as far as technology is concerned. My main character reflects me. Intellectual. Not any kind of James Bond sort even though my books are thrillers. He uses his wits to get out of trouble. A driven person but into short cuts. With the stroke of the ‘yes’ button Travis Cole’s life, the life of his daughter, his friends and everyone on the planet hangs in the balance. Thinking he deleted all of his artificial intelligent (AI) agents Travis begins a new life. What he is unaware of is…he forgot one. Dorian, the leader of the Digitari Brotherhood and forsaken AI, unleashes multiple cyber-terrorist attacks on the United States with one true target in mind – Travis Cole. As each of the attacks from the bitter and forsaken AI fail Travis gets closer to realizing the truth of the nightmare his life has become. Dorian will stop at nothing to have its revenge against the man who tried to terminate him, even if that means destroying mankind to do it. “Cyberkill” is a sci-fi thrill ride with fast pace action and gripping realism. It is clearly evident that Author Frank Fiore went to great lengths researching the technology, locations, and government agencies when writing “Cyberkill” which lends to the believability of the story. But Fiore goes beyond that by developing rich and interesting characters, tense drama and moments of mirth. It is easy to connect with Travis as he tries to save the day but what is amazing about Fiore’s writing style is his ability to deliver the motivations for Dorian in a way that readers can both understand and sympathize with. By weaving together current events, the Internet, real scenarios, action and suspense “Cyberkill” instills enough paranoia to make the reader wonder as they frantically turn the pages to find out what happens next. Those who read Science Fiction will love “Cyberkill” but make no mistake anyone who uses a computer will enjoy this thriller. 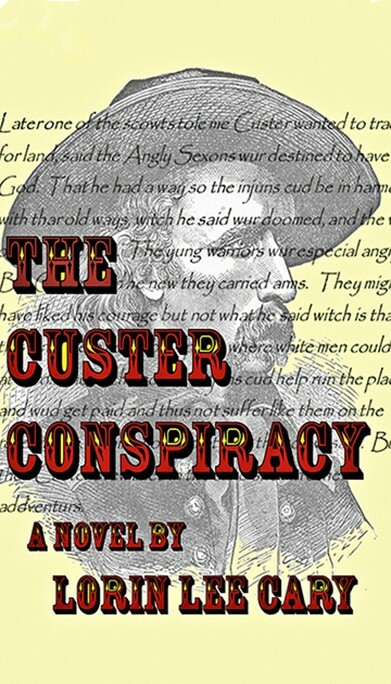 This story of revenge and survival will stay in your mind long after you finish reading it. “Cyberkill” is a must read. 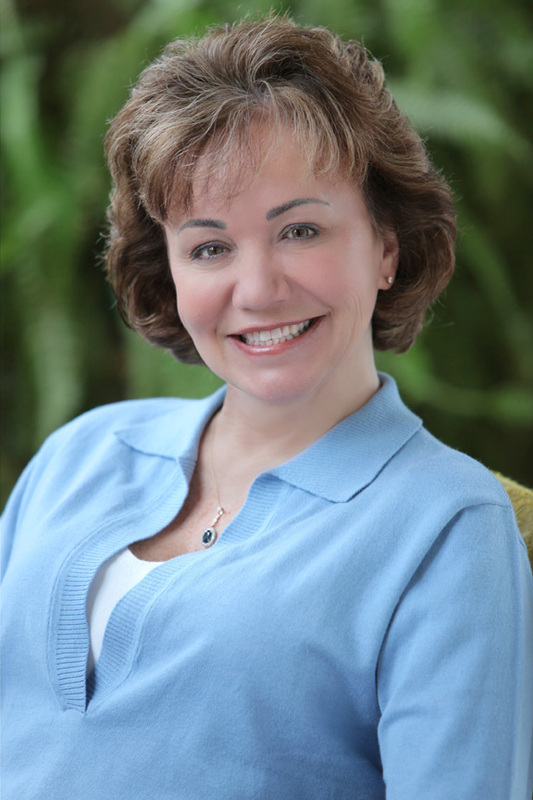 Linda Rettstatt is an award-winning author of women’s fiction and contemporary romance. 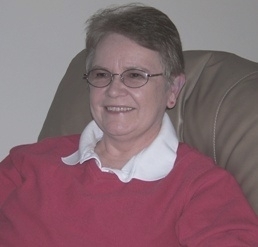 Linda’s short stories have garnered recognition and awards from Writer’s Digest and Pennwriters, Inc. Her writing has been compared to that of Nicholas Sparks and Elizabeth Berg. Shelagh: Hi Linda, please tell everyone a little bit about yourself. Linda: My very first writing gig was reviewing community theater productions for my hometown newspaper in Brownsville, Pennsylvania. I was an advertising clerk, but got the reviewing task because, frankly, no one on the news staff wanted it. But seeing my name in the by line was a thrill. I had wanted to become a writer after high school, but had no sense of direction and very little self-confidence. After years of working in music and social work, I rediscovered my passion for writing. I now have six novels published, with two more contracted for publication in this coming year. And I have an agent who is handling my one contemporary romance novel. I now reside in Southaven, Mississippi (where I get homesick every October until the first snow flies in Pennsylvania). I’m the owner and moderator of The Women’s Fiction Writers Exchange, an online critique group of women writers from across the United States and Canada. Linda: I fell in love with the written word early in life when my grandfather would read to me—until I was old enough to read right back. In high school, I wrote poetry and, later, song lyrics and music. But the dream to write novels never died. I sat down one January day in 2004 and decided to see if I could write a novel. I had fallen in love with women’s fiction, the books of Elizabeth Berg in particular. My first novel, And the Truth Will Set You Free, was completed in five months, published two years later and then finaled for an EPIC e-book award in 2008. Linda: When I started writing, my only goal was to see if I could write a complete novel that would hopefully be worth reading. I now have six published with two more under contract. <shrugs> Guess I can. On my website, I say of my own writing, “I write for women—stories of strength, love, humor, and hope.” I want to write characters with whom my readers can relate. I want my stories to give women laughter, tears, a sense of not being alone, and the permission to be themselves. 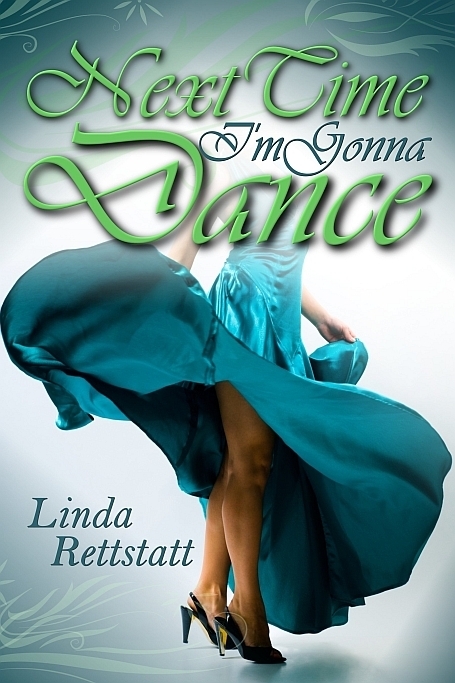 Linda: My latest book, Next Time I’m Gonna Dance, was released on January 2 by Champagne Books. It is the story of 44-year-old Emmie Steele who is facing her second diagnosis of breast cancer in two years. Adding insult to injury, her husband left while she was getting treatment following her first mastectomy. She draws on the support of her family and her four best girfriends—fearless women who will stand beside, push, pull, and carry Emmie through this nightmare. As Emmie ponders second and, hopefully, third chances, she realizes her one unusual regret: she never learned to dance. Learning to dance becomes a metaphor for Emmie as she undergoes surgery, treatment, and healing, and as she finds new love. Emmie Steele paced across the doctor’s waiting room. She resisted the urge to place a hand over her left breast and prod, to prove there was no need to worry. Linda: What I admire about some of the writers I enjoy reading (Elizabeth Berg, Kris Radish, Lisa Scottoline) is that their characters seems like real people—women I’d like to sit down with and have a cup of coffee. That’s my goal in developing characters. I’d like my readers to feel the same way. As for setting, five of my six published books have some connection to the Pittsburgh, PA region where I grew up. But I’ve also taken some of my characters on jaunts to other parts of the country. I’m not fond of research, but I do enjoy researching other cities and states if I’ve not yet visited them. I actually wrote one book partially set on Mackinac Island, Michigan, then went there to see if I was right about the island. I can attest to the accuracy of their Visitor’s Bureau guide. Linda: I think the most unusual and likeable character I’ve created is that of Grandma Carmela, aka Sophialoren (all one word), in Finding Hope (2008, Wings ePress). She’s 80 going on 18, but with the wisdom and freedom that her age has afforded her. Linda: I’m pretty much a pantser, not a plotter. I’ve found that writing a brief summary of the story and character bios helps me stay on track. But, truthfully, I often don’t know the entire plot until I’m well into the story. I let my character lead me. After all, it’s her story I’m telling. Linda: I loved this review from Manic Readers for Finding Hope (which has finaled for a 2010 EPIC e-book award). What do you do when you’re tired of lying to the boss’ wife, tired of being the taxi service, gourmet chef and personal valet for your entire family? You quit! That is exactly what Janet DeMarco does – she quits her job with her husband’s brother (gives herself a month’s severance pay, too), she posts cleaning, laundry and cooking class schedules for the household and expects results. That’s the calm part. Janet decides her new life needs a new name. She becomes Hope. Hope becomes a blonde, goes walking in the park, meets new and unique people and discovers that her mother-in-law isn’t near as foreboding as Hope/Janet once thought. Her grandma-in-law is a wonderful gal, thin, Italian, up for anything. When Hope shows her how to use her new laptop; Carmela immediately puts in “Bad Boy,” looking for a horse. That isn’t what she gets, believe me! Finding Hope is one of the best books I’ve read this year. The scenarios of the family dealing with revolt from Mom, the renaming plan goes much farther than just Janet/Hope—all of it is just wonderful. Not only will you find Hope, you will also find Joy and Sofialoren. I would highly recommend this book to anyone wanting a warm, funny story to pass a wintery afternoon with—you’ll love it! Linda: I’m in the rewriting phase of a novel titled Unconditional. It’s an exploration of unconditional love and the ways life events test us. And I’m finishing a work titled Act of Contrition about a young widow who lost her husband and son in a tragic car crash and now must find a way to live with her guilt over having survived. She retreats to the home where her grandparents raised her on the coast of Maine and comes face to face with the man she walked away from eight years earlier, but whom she has never stopped loving. Shelagh: Thank you for joining us today, Linda. Nancy Kaiser has spent most of her life caring for and about animals, espe­cially horses. Nancy acts as a spiritual liaison for animals and their people, and lives the belief that: we are all teachers; we are all students. Shelagh: Hi Nancy, please tell everyone a little about yourself. 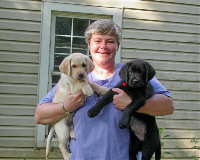 Nancy: I live in the healing Blue Ridge Mountains of North Carolina surrounded by my family of two Labs and a horse. I operate “Just Ask” Communications, a practice devoted to healing the human-animal bond through enhanced communication and understanding. My abilities in telepathic animal communication and healing emerged while managing my husband’s equine hospital and our breeding farm in central NJ for 27 years. I’m committed to bridging the chasm that has developed between species while increasing respect for all our relations. I’m the author of Letting Go: An Ordinary Woman’s Extraordinary Journey of Healing & Transformation and can be contacted at www.NancyKaiserAnimalCommunicator.com. Nancy: Letting Go: An Ordinary Woman’s Extraordinary Journey of Healing & Transformation is a memoir, which I began writing in September 05 and published in June 08. Nancy: I began writing, in journal form, as a way to understand how I got to where I was; living alone 600 miles from everyone I knew without a job or home. I’d been clueless, so I needed to figure out what happened and why. I also needed an outlet for the grief, anger, fear and sense of loss I was engulfed in. Writing allowed my heart to unburden itself. I didn’t start with the idea of a book, but instead a journal to help me learn, let go, and move forward. I lost both my parents in 2000 within 3 months of each other, which is when my struggles with letting go began. In May 04, I let go of my beautiful farm in central NJ, which was my home for 27 years when my husband retired. We relocated to the mountains of North Carolina and began building our dream, retirement home on 54 acres that we bought in July 01. Six weeks into construction of the house, my lesson in letting go intensified when my husband confessed one evening, “I never wanted this house. I never wanted to be here. This is all your dream and I feel like I’m just along for the ride.” At which point, my heart stopped. Over the next week, it became apparent we were separating and divorcing. Our 29-year relationship was over. Encouraging friends convinced me to turn it into a book. They felt my story needed to be shared. Over time, it had taken on a life of its own. I began to realize that, while the details were unique to me, the lessons I was learning were universal. So, I made the commitment to publish my writing in order to help people learn from my experiences and hopefully shorten their own time in what I call the Abyss and the Tunnel. Nancy: Letting Go will help readers evaluate their own personal traumas if they’re ready. Within my lessons, they will find their own lessons. By seeing how I overcome my challenges, they will begin to confront their own. I show them very unique as well as very mundane places to look for help. Letting Go offers messages of hope, encouragement and belief in Self. Hope in knowing that they will survive and return to being the happy person that they were before the rug was pulled out from under them. Belief that what is happening to them is truly in their highest good even though it seems like heresy to believe that. Everything always happens for a reason, and the universe always brings us exactly what we need. Might not be what we want, but it’s always what we need. Encouragement from the fact that I am leading a happy, fulfilling life after having been brought to my knees by the most difficult thing I’ve ever experienced. Five years ago, in my darkest moments, I considered leaving this life experience. If I can transform from the darkness of my Abyss to the wonderful life I’m experiencing now, anyone can. I want everyone to know that it is imperative that they put themselves first and trust that their soul knows what its doing even if their conscious mind doesn’t. I want to be a beacon of encouragement and hope for all who find themselves without faith, hope, understanding and/or belief in Self. I bought a little plate just before my first Christmas alone that says, “Sometimes on the way to a dream you get lost and find a better one.” I’d read it every day trying to believe it could be true. I’m living that better dream now, and I’d like to help others find their better dream as quickly and painlessly as possible. Nancy: I’m starting a series of books about being an animal communicator and healer; pretty amazing since I’m educated in pharmacy. I only practiced for a few years before marrying and leaving pharmacy to run our horse farm. It’s been quite a journey for the left-brained pharmacist turned right-brained animal communicator, healer and author. Only when we utilize both hemispheres of our brain will we realize our soul’s full potential. Nancy: The hook will be the unique and amazing experiences I’ve shared with my personal animals, my client’s animals, equine patients of my ex-husband’s, as well as those that lived on our farm or were admitted to our hospital. The lessons I’ve learned from a lifetime spent working with and caring for animals will take more than one book to recount. Letting Go needed to be written first in order for me to return to the woman I was before moving to the mountains. The animal book(s) are something I’ve always known I’d write one day. The animals have so much that needs to be shared with people. Many have chosen me to be their voice, and I’m honored to share their wisdom with the human world. Nancy: My writing flows from my heart onto the computer screen. Whenever my mind gets in the way, I end up deleting it. I’ve spent most of my life on a horse farm, so I’m an outdoor gal who loves to spend time in Nature. I’m very connected to where I live. My connection to Nature, the animals and the land are a huge part of who I am. All of these contribute to me being balanced and centered, which I feel is reflected in my writing. When I’m communicating with an animal, I hear and feel. I’m an empathetic healer, so I possess an extremely acute sense of feeling. I write about what I see, hear, feel and intuit. Everything that is part of my environment contributes to the experiences that I have. All is incorporated into what I write, because it is part of who I am. Anyone who has read Letting Go knows I write honestly, which is the only way I know how to live. The most inspirational book I’ve read since The Power of Now! I found this book to be so eloquently written and inspirational that I had a hard time putting it down. I could not believe all the heart breaks one person could take and still come through it all with flying colors. I am awestruck by Nancy’s communica­tion skills and challenge anyone who reads this book not to agree with me. Letting Go is also so much easier to read and comprehend than other inspirational books… her writing makes you feel so at ease, like you are feeling her pain and learning these lessons right by her side. I congratulate Nancy for finding her calling, committing to it and bringing so much happiness and serenity to people and animals in need. It probably made a huge impact on her recovering from such sadness. Kudos Nancy! I found Nancy’s story compelling and meaningful and she captured my attention from the start. Vividly written in the heat of swirling emotions, her writing reflects the turmoil she is experiencing in her life after a stunning betrayal and turn of events. Through it, she reveals a Truth for anyone who reads this book – that from the most traumatic and heart wrenching moments in life can come healing and repair but it takes extremely hard internal work, brutal honesty about one’s self (“how did I/my psyche or soul contribute to this situation?”), the fortitude to not run away from challenges, and an openness to receiving insight from unexpected – and maybe unseen – sources. Nancy has done all that, and reading her book, I found that I could experience her metamorphosis from a traumatized, agitated, and deeply saddened girl into a peaceful, joyful, and calm adult. It’s a good read! Nancy: Well, the first of the animal books. 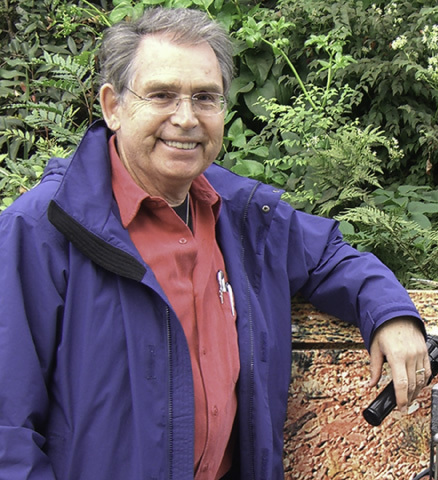 I contribute a weekly column, Animal Insights, on Thursdays to Petsense.com at http://www.petsense.blogspot.com. I have a print article, Life Lesson From Labradors, which is awaiting publication in Animal Wellness Magazine. I have several internet radio interviews scheduled in the next couple of months too. Nancy: My website, www.NancyKaiserAnimalCommunicator.com, has everything about me, my work with the animals and Letting Go. You can read testimonials about my work, reviews of Letting Go, as well as the first chapter. Personalized print copies of Letting Go can be ordered securely through my Website or digital copies are available from Smashwords.com or Amazon’s Kindle store. The “Resources” button offers links to previous radio interviews and published articles, and the “Appearances” button displays my schedule of upcoming radio interviews and book signings. Shelagh: Thanks for joining us today, Nancy. Nancy: Thank you. I appreciate the opportunity. Romance author, Kaylin McFarren, says she keeps a glass of wine close by while writing love scenes, Kleenex on her desk while writing heart breakers, and has been known to empty a box of chocolates when she’s completely stumped. Shelagh: Hi Kaylin. Please tell us a little about yourself. Kaylin: Hi…my name is Linda Yoshida, but in the literary world, I write as Kaylin McFarren – a name I borrowed from my Irish grandmother. Although I wasn’t born with a pen in hand like many of my talented fellow authors, I’ve been actively involved in both business and personal writing projects for many years. As the director of a fine art gallery, I assisted in furthering the careers of numerous visual artists who under my guidance gained recognition through promotional opportunities and in national publications. Eager to spread my own creative wings, three years ago I steered my energy toward writing novels. As a result, I’ve earned more than a dozen literary awards and was a 2008 finalist in the prestigious RWA® Golden Heart contest. As far as my background goes, I received my AA in Literature at Highline Community College, which originally sparked my passion for writing. I’m also a member of RWA, Rose City Romance Writers, and Willamette Writers. And in my free time, I enjoy giving back to the community through participation and support of various charitable and educational organizations in the Pacific Northwest. Shelagh: Briefly tell us why you chose to write your latest book. What genre is it? Kaylin: Sixteen years ago, following my father’s death, I found myself obsessed with sitting in front of a typewriter, coming to terms with unresolved issues by banging on keys. This silent venting became a sort of “therapy through writing” exercise. However, this exercise slowly evolved, taking on a life of its own. I began creating a related fictional story about a woman’s personal journey, and in the process of exploring my main character’s growth, I found myself learning and growing as well. Eventually, I came to believe I had a meaningful story to tell, one through which I could possibly touch other people who shared the same complicated family relationships – and maybe even make a difference in their lives. Yet I still struggled with bringing this tale to a close. It wasn’t until my eldest daughter provided her amazing writing insight that I finally came to realize why I struggled with the ending, for both the book and my father’s passing. The true resolution didn’t rest in holding onto the past; it came from opening my mind to future possibilities and honoring him – not only by setting this story free, but by becoming the professional storyteller that had been hiding in my genes. 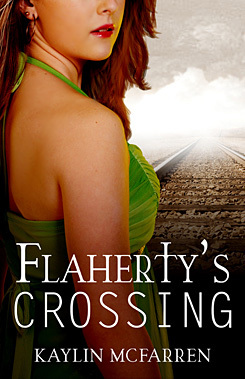 And as far as genre goes, Flaherty’s Crossing is considered contemporary mainstream fiction. Now that’s a mouthful. And right now I’m writing action/adventure romance or romantic suspense, as classified by some literary circles. Shelagh: Where do you believe your interest in writing comes from? Kaylin: Actually, I’ve always had an active imagination, probably my Irish roots burrowing into my brain. For most of my life, I was an avid romance reader, longing to slip into Jane Austen’s corset. I tried my hand at poetry and writing short stories…anything to express my love of the written word. In high school and college, a few of my short stories actually ended up in school publications, but for the most part, they were tucked away in various drawers. As time went by, I married and was fortunate enough to travel to exotic places, meeting remarkable people, each with a unique story to tell. And along the way, I found inspiration and plenty of ideas to now channel into what I hope will be a long series of entertaining books. Shelagh: Tell us a little bit about your debut novel, Flaherty’s Crossing. What’s the hook in this story? Kaylin: Here’s the summary and hook in a nutshell. Successful yet emotionally stifled artist Kate Flaherty stands at the deathbed of her estranged father, conflicted by his morphine-induced confession exposing his part in her mother’s death. While racing home, Kate’s car mishap leads her to a soul-searching discussion with a lone diner employee, prompting Kate to confront the true reasons her marriage hangs in the balance. When her night takes an unexpected turn, however, she flees for her life, a life desperate for faith that can only be found through her ability to forgive. Shelagh: Where did you find the inspiration for this story? What are you hoping to convey? Kaylin: Flaherty’s Crossing was originally inspired by my father, who passed away on July 15, 1991 with the love of his life at his side. His Irish wit, stubbornness, and the bravery he exuded during his relentless battle with terminal cancer sparked the idea for a novel and was further developed and edited with the assistance of my eldest daughter. Not only does this faith-seeking tale delve into the complex emotions of bidding a final farewell to an estranged parent, but it also explores the strain placed on a marital relationship when childhood issues go unresolved. Shelagh: Please tell us a little bit about your writing process. Kaylin: Strangely enough, I dream up my stories – literally from beginning to end. I make notes, create a rough draft, and set to work on developing my characters. I actually design a notebook for them with photos, habits, flaws, birthdays, backgrounds, the works. Then it’s a matter of putting them into my scenes and turning them loose. The more challenges they face, the more fun it is to write about them. And before I know it, they’ve fell in love, overcome obstacles, and are preparing for the next hurdle – perhaps a little stronger and wiser and definitely more intriguing. Shelagh: Do you have any particular habits that you take part in while writing? By that I mean certain music you like to listen to, foods you like to eat, environment that helps you write better, etc. Kaylin: My routine consists of nabbing a hot chai and toasted bagel before sequestering myself to our cozy, book-lined library. I flip on an old Stevie Nick’s soundtrack, check messages, make a few phone calls, and then set to work. I often reread the last chapter I’ve written just to rekindle my thoughts, then it’s off to the races – solving dilemmas and overcoming adversaries. Shelagh: Are you working on any current projects? Kaylin: Right now I’m writing Severed Threads, a fun undersea romp. Here’s a brief summary: Believing herself responsible for her father’s fatal diving accident, Rachel Lyons has withdrawn from the world and assumed a safe position at a foundation office. When called upon by a museum director to assist her former love interest with the recovery of a priceless artifact from a sunken galleon, she has no intention of cooperating – until her brother is kidnapped by a drug-dealing gangster. In order to save him and gain control over her own life, Rachel must not only overcome her greatest fears, but also relive the circumstances that lead to her father’s death. Shelagh: Who is the most unusual character in this story? Kaylin: There’s nothing more enjoyable than creating a deeply flawed character. Their quirks and physical attributes help break the tension and allow readers an opportunity to breathe. In Flaherty’s Crossing this happens to be Wanda Finch, Kate’s nosey neighbor. Although she seems intrusive, overly talkative and extremely annoying, in reality she’s genuinely interested in Kate’s well-being. Shelagh: I understand your book is involved in a special project. Can you tell us more about it and how readers can help out? Kaylin: Actually, I sat before my computer writing Flaherty’s Crossing as a source of personal therapy after losing my father to colon cancer. You might say I was angry at him, at God, at the world in general. However, after writing this story, I had the opportunity to really look into my soul and consider the fact that so many other sons and daughters have had to deal with similar and even worse situations. Rather than a memoir, my novel evolved into a fictional journey which brought about the resolution I needed to find. I never expected this exercise in writing to go to press, touch lives, or win literary awards. But as a result of my good fortune, I’ve arranged for 100% of my proceeds from the sale of this book to go directly to cancer research at Portland’s Providence Medical Center. I’m now convinced that good things can grow out of the worst times in our lives if you just take the time to open your heart. And everyone who purchases a copy can make a difference. Shelagh: Where can folks learn about your books and events? Kaylin: Thanks, Shelagh. I really appreciate the opportunity to share my story with you!